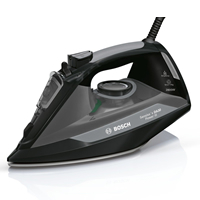 More powerful and more efficient at ironing your clothes. Ironing can be a long and arduous task especially when you have plenty of clothes to go through. In order to remove all the creases quickly and easily, you need the power and efficiency of one of the best steam irons of 2018, which you can find in our top 10 table below. 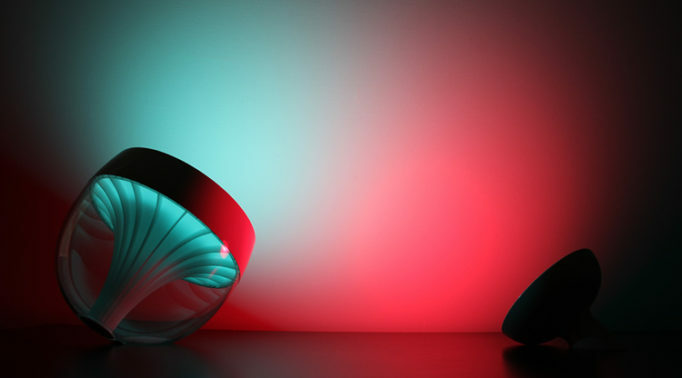 You can also read our summarized reviews of each model featured. If you’re looking for an iron that can generate more steam and for much longer, we recommend that you check out our Top 10 Best Steam Generator Irons instead. 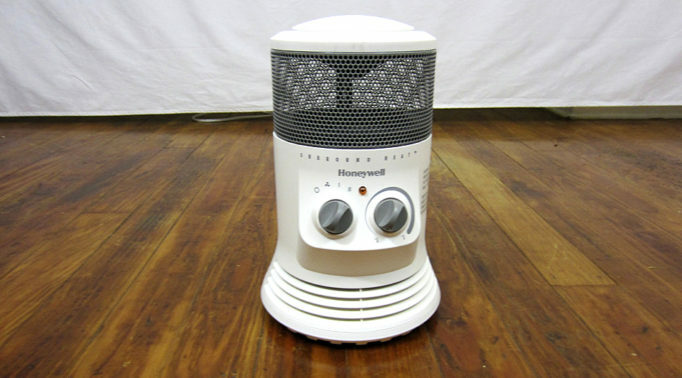 Cord – This cord length of a steam iron is usually no less than 7 feet, and some are able to rotate at a 360 degree angle for easy ironing, and even retract into the iron itself. 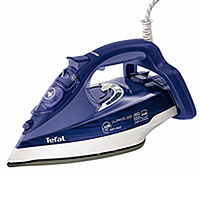 Auto Off – A steam iron with this feature will automatically turn itself off when the iron is idol for a certain period of time depending on whether its stood upright or flat on the soleplate. 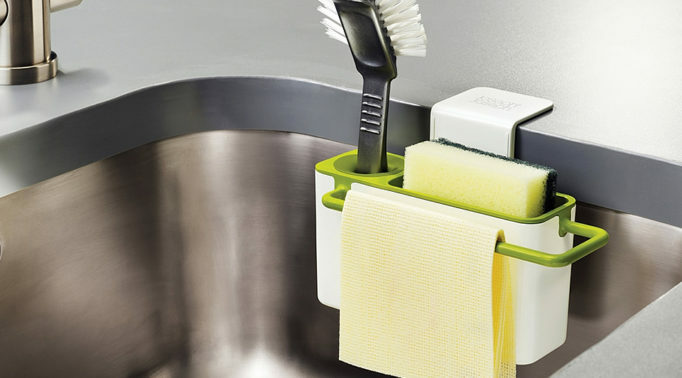 Auto Clean – Many steam irons are able to clean itself automatically with features such as Anti-Scale and Anti-Calc which removes water impurities to ensure a longer lifetime. Soleplate – One of the most important parts of an iron is the soleplate, which determines how smooth and easy it is to iron clothes, and the longevity of the iron itself. Stainless steel is commonly used as it’s rust resistant, while a nonstick soleplate glides better over clothing. Hole – This is the amount of holes that are in the soleplate to help distribute steam and heat evenly. The more holes there are and the careful placement of these holes makes ironing more efficient. Water Tank – The amount of water that can be held in either the base or handle affects how long you can iron before having to refill again. 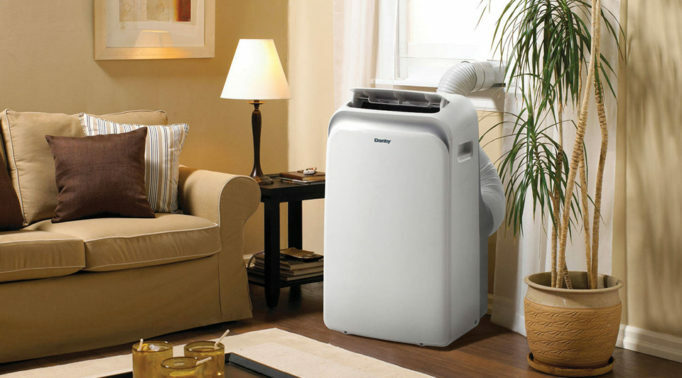 Extra Features – Other features worth mentioning are vertical steam (removes creases from hanging garments, curtains etc. ), anti-drip (controls the water dripping from steam vents), steam shot (triggers a burst of steam onto the fabric, measured in grams per minute), and variable/adjustable steam (different steam settings for different types of garments). If you’ve had the pleasure of using a variety of different steam irons for long periods of time, then you’ll likely understand just what difference it makes when ironing clothes. 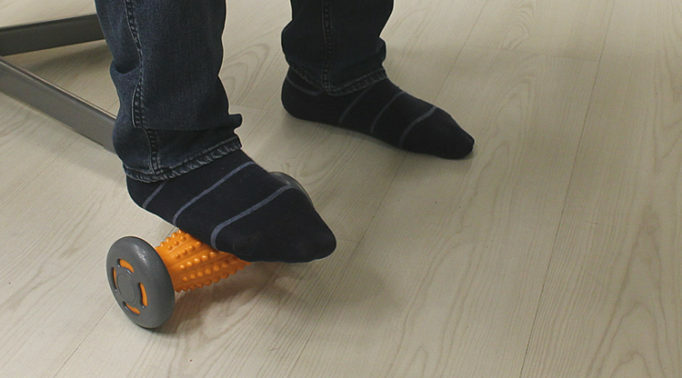 It can turn a long chore into a comfortable and relaxing task. 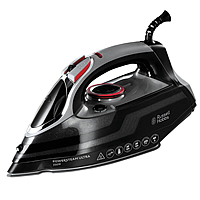 More Powerful – Many of the best steam irons are not only powerful, but they utilize their power better than lesser irons so they’re able to reach their peak temperature quicker and they also get hotter. As a result, you spend less time waiting around for the iron to heat up and you’ll also end up doing a quicker job ironing your clothes. 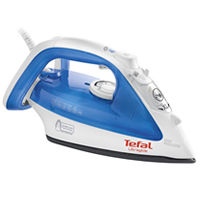 Produces More Steam – A better steam output (measured in grams per minute) during normal ironing and burst mode means that you’ll have an easier time removing creases. Better Limescale System – This is one of the most important components of a steam iron because if limescale builds up and isn’t removed, it’ll end up clogging your iron. 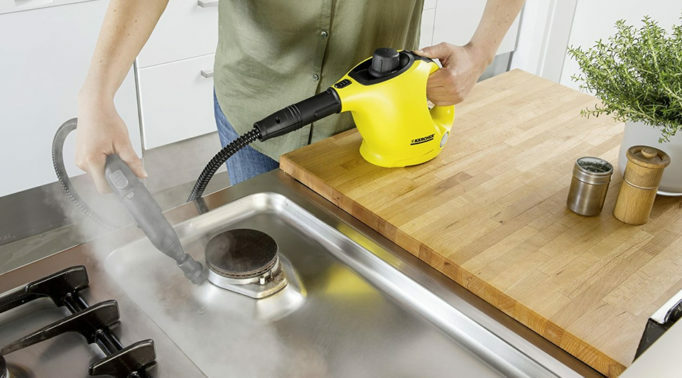 Some steam irons has integrated functions where you can remove limescale by letting off a strong burst of steam, or a quick scale release outlet. 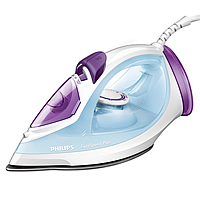 Drips Less Water – It’s annoying having water drip from the steam holes onto your clothes during or after you iron. The best steam irons will eject very little wasted water while some models have an effective anti-drip system that properly controls spitting and leakages. Firstly, there’s the shape that if designed well, you’ll be able to easily maneuver your way around niggly parts of clothing such as shirt buttons. Secondly, if there are more steam holes throughout the soleplate, it tends to produce more evenly distribution of steam which covers a larger surface area. Thirdly, there’s the material of the soleplate which is usually stainless steel or ceramic. 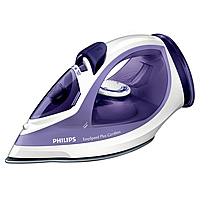 An iron with a good soleplate will be non-stick making it glide smoothly across any type of fabric. The water tank indications needs to marked clearly on a translucent shell so that you know how much water is remaining or how much you’ve filled up. 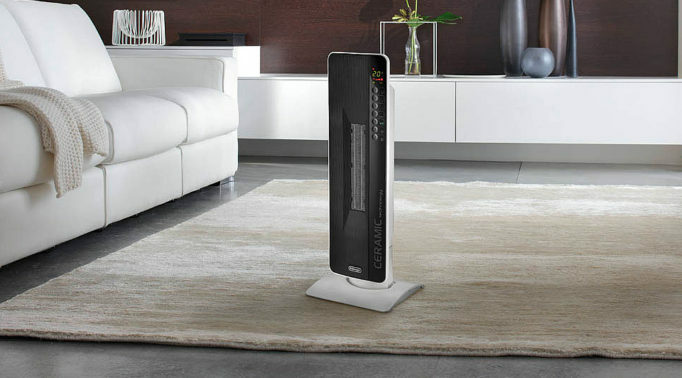 A power cord that is long enough and can freely be moved around without getting in the way during your ironing. An refill opening that’s big enough and placed in a location that makes it easy for you to fill up the water tank. Buttons and controls that are big and easy to change the settings of the steam iron. Some lesser irons have controls that are too stiff or too awkward to access. An even and wide surface back so that the steam iron can stand in a stable upright position without being able to knock it over easily. This sums up all the things that buying a good steam iron will get you. If you do a lot of ironing, then it’s definitely worth spending a little more on a better investment. 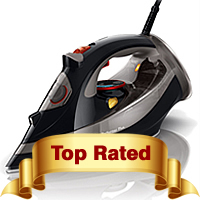 We also recommend you to check out our 10 best steam iron reviews to get a closer look at each product. The above video by popular formal wear retailer T.M Lewin shows you how to properly iron a shirt. An Extended Warranty Period – There can be a lot that goes wrong with a steam iron, so you may want the peace of mind that some brands offer. 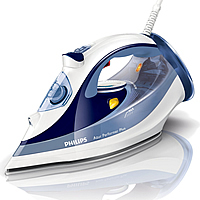 Many Philips Azur steam irons have extended warranties on their products as do some Russell Hobbs and Bosch models. 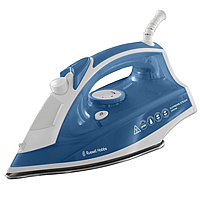 An Auto-Off Function – Most steam irons nowadays have an auto-off safety feature which automatically turns the iron off if it has been idle in a specific position for a certain period of time. If you’re a dressmaker, quilter or just someone who does plenty of ironing with time gaps in between, you may not want an auto-off function as it may break your work momentum. Its Size and Weight – If you or someone in your family has hand or wrist problems, then you should consider a lightweight and smaller steam iron that’s easier to maneuver around. 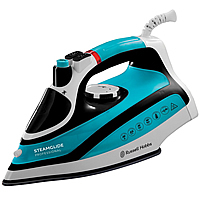 If you need an iron that produces more steam consistently for more strenuous ironing, then you should check out steam generator irons which have larger steam tanks to accommodate your needs. A good steam iron without a good ironing board to compliment it is like having a nice car with an uncomfortable and ugly interior. Take a look at our Top 5 Best Ironing Boards so you can choose one that is safe, secure and easy to use. re: steam iron. Several manufacturers recommend using 50/50 mix of distilled and tap water in hard water areas. They also state boiled water should not be used. As boiled water ( cooledof course ) will have some calcium removed, I would have considered it suitable. Your views would be appreciated. Are the companies just being ultra cautious? Hi Stephen, manufacturers always err on the side of caution so we always recommend that you follow their instructions, not only to prevent damaging the steam iron, but to also not void the warranty.